You may be aware that as part of the late night shopping evening on the 13th December we are trying to break a world record in partnership with Breakthrough Breast Cancer by gathering as many fairies as we can in Charter Square for 6pm! 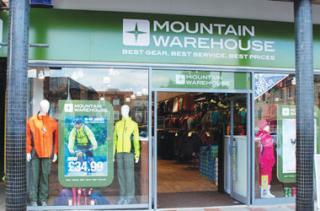 We are pleased to say that Mountain Warehouse will be offering a fantastic 10% off to anyone who dresses as a fairy and makes a purchase in store! So get your fairy outfit ready and head into town on the 13th for some late night shopping! !